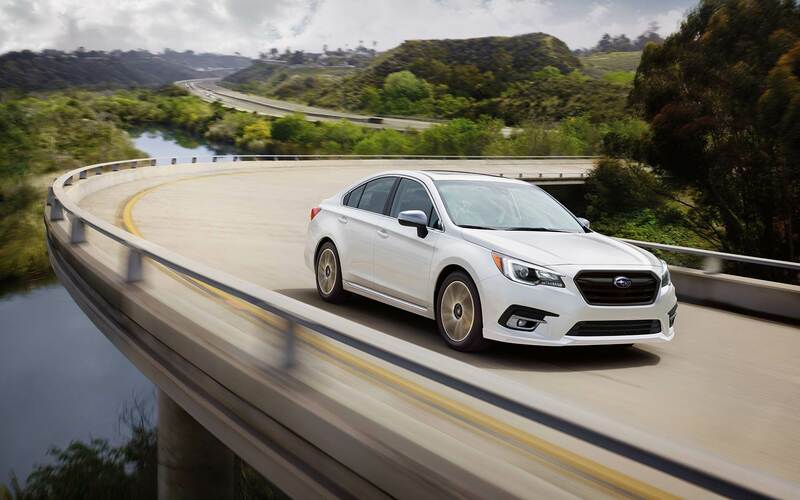 Unique in a fiercely competitive midsize sedan market, the Subaru Legacy remains the only one in its class with standard all-wheel drive. This makes it a much-welcomed entry in the segment for those who don't necessarily want to go for an SUV to engage all four wheels in the winter. The 2018 model finds the nameplate in the middle of its sixth generation of production, with a few updates to refresh it. There are four trims: a base-level model, the Premium, Sport, and Limited. 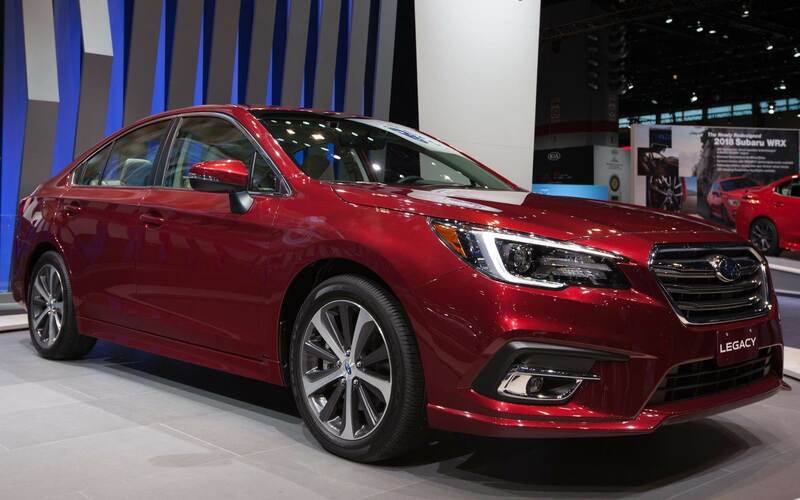 Standard on this 2018 midsize sedan are projector-beam halogen headlights (which can automatically turn on or off depending on the amount of outside light) and folding side mirrors. You can upgrade to the Sport to add fog lights and a power tilt/sliding glass moonroof. Exclusive to the Limited are turn-signal indicators on the side mirrors, a dual stainless-steel exhaust system (instead of a single one), and steering responsive technology that enables the headlights to turn in the direction of the steering for more effective illumination. The base-level model rides on 15-inch steel wheels; 17-inch alloy wheels go on the Premium and 18-inch alloy ones go on the Sport and Limited. True to its racing-inspired design, the Sport is the only one with a chrome-trimmed rocker spoiler for a more aerodynamic driving performance. The latest edition of this automotive nameplate provides a maximum passenger space of 104.6 cubic feet, with two rows of seats for up to five people. For cargo space, the trunk yields 15 cubic feet, although you can expand it into the cabin-thanks to the 60/40 split-folding rear bench-style seat. 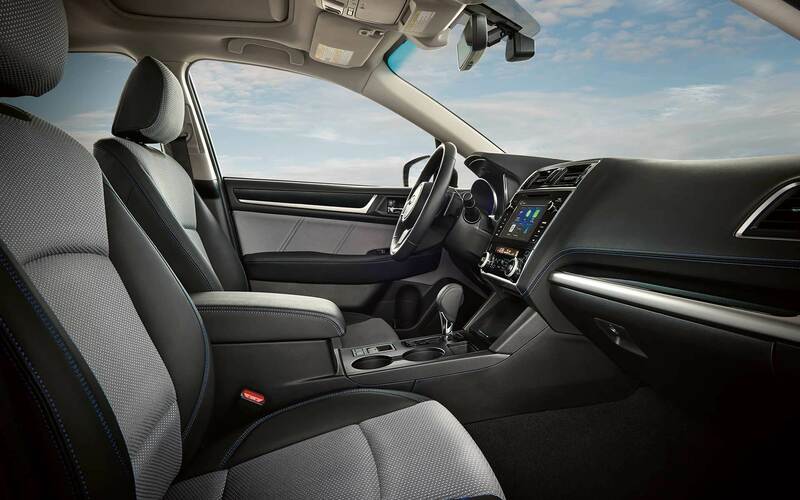 You can upgrade to the Premium to get 10-way power adjustability and power lumbar support on the driver's seat, as well as heating ability on both front seats. Only the Limited trim has leather upholstery, a 2-position memory function for the driver's seat, and 4-way power adjustability on the front passenger seat. Cruise control, Bluetooth® connectivity, Android Auto™ and Apple CarPlay™ for smartphone-based control, four-speaker AM/FM audio, a USB port and audio jack for connecting mobile devices, and STARLINK™ infotainment integration on a 6.5-inch LCD touchscreen are among the standard comfort and convenience features on the sedan. Starting with the Premium, the car has additions or enhancements like an 8-inch LCD touchscreen, HD Radio™, a single-disc CD player, an extra USB port, a complimentary four-month SiriusXM® satellite radio subscription, dual front and rear charging-only USB ports, dual-zone automatic climate control, and an LCD color screen for displaying vehicle functions. 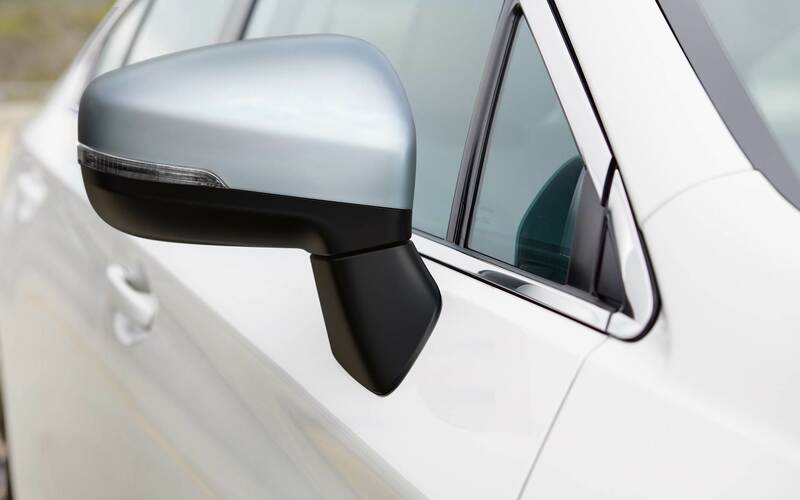 The Sport and Limited also have an auto-dimming rearview mirror, the HomeLink® control system for remote-controlling garage doors, keyless access, and push-button engine start. While the Premium and Sport have six-speaker audio (instead of four), the Limited upstages all other trims with its 12-speaker 576-watt Harman Kardon audio system. Powering the new sedan is a 2.5-liter horizontally opposed (H) four-cylinder engine that produces 175 horsepower and 174 lb-ft of torque. However, if you go with the Limited, you can swap the H4 with a 3.6-liter H6, which generates 256 horsepower and 247 lb-ft of torque. Hitched to each engine is a continuously variable transmission, which-despite the eschewing of the traditional gear shifting mechanism in favor of a seamless change within a range of gear ratios-comes with paddle shifters to simulate the manual gearbox feel. The all-wheel drive on the vehicle is accompanied by active torque vectoring for boosting handling and turning by applying braking power to the inside front wheel. Also on board are a MacPherson strut front suspension and double wishbone rear suspension, with electric power-assisted steering that enables a turning circle of 36.8 cubic feet. 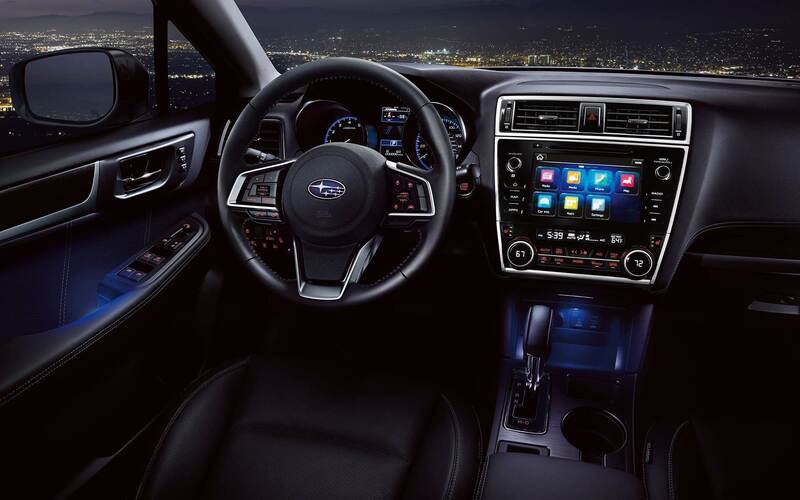 Standard safety features on the 2018 Subaru Legacy include electronic vehicle stability control, four-wheel anti-lock disc brakes with brake assist and brake override, traction control, LED daytime running lights incorporated into the headlights, a rear-vision camera, six airbags, and an anti-theft system that includes engine immobilization. All trims save for the regular model also have STARLINK™ Safety and Security services that include SOS emergency assistance, stolen vehicle recovery, and automatic collision notification. Exclusive to the Limited is blind-spot detection with lane change assist and rear cross-traffic alert.